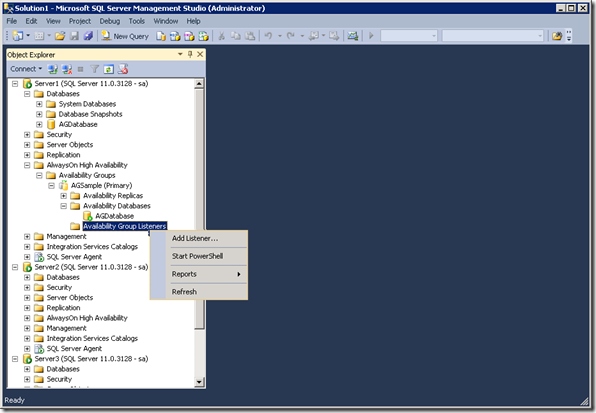 A week ago I posted for high availability implementation in SQL Server 2012. 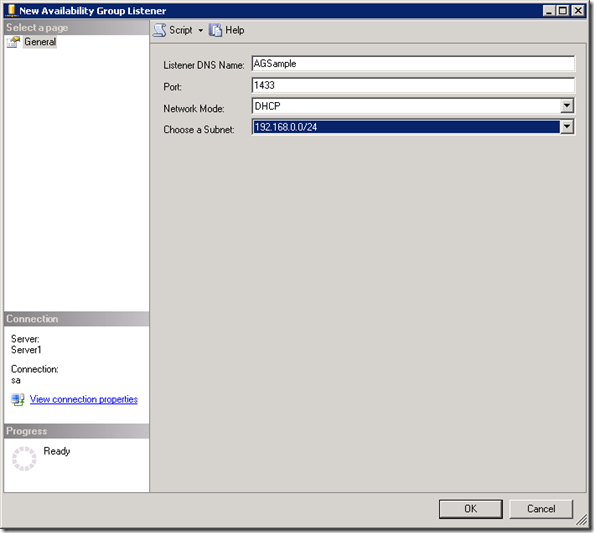 I would like to read the earlier post and continue that post with and it’s configure a listener for availability group. So let us follow the steps. Step 2 : Assign Listener DNS Name, Port and Network Mode which should be DHCP or statistic IP. 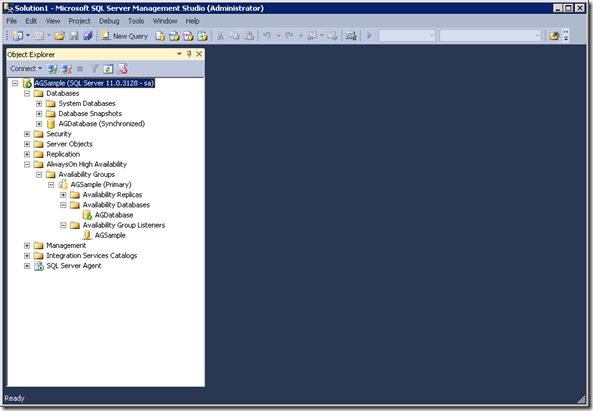 Step 3 : We are done and now it ‘s time to connect and confirm SQL Server primary instance. It should connect SQL Server primary instance, even a case of automatic or manual failover of instance involved in Availability Groups. So whenever a failover or primary server failure happened, we do not need to changed data source\connection string of application or wherever used. Hope you may like it.